I started off by cutting out a phrase on my Silhouette. 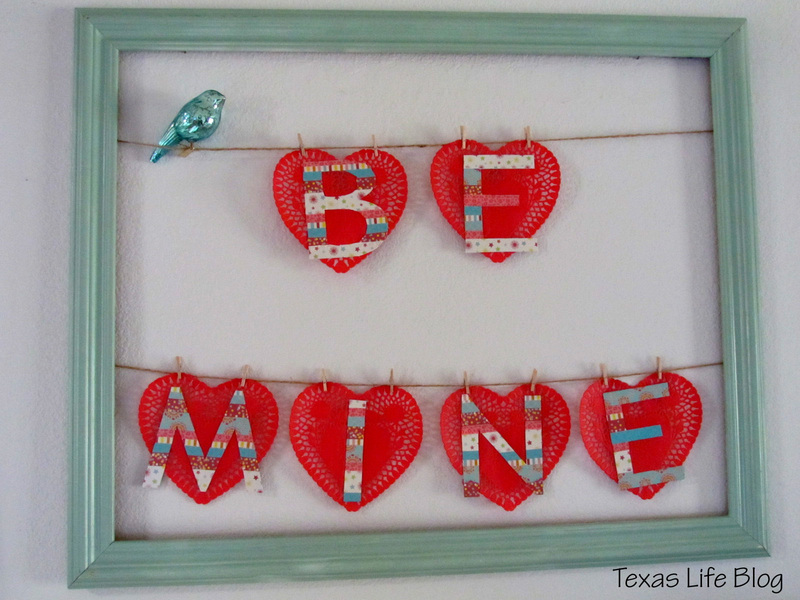 I chose "Be Mine". After it had been cut, I traced them onto the sides of a cereal box. 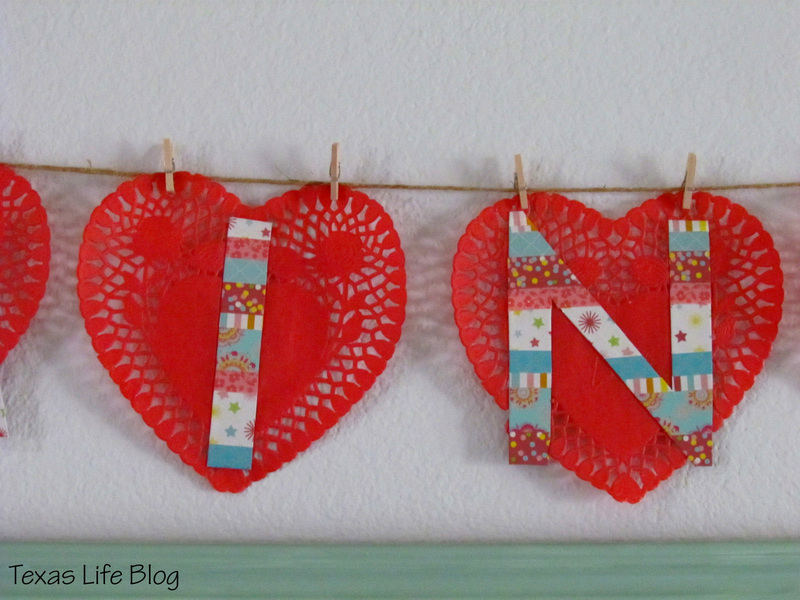 The letters on the cardstock were just too fragile for what I had in mind with them. 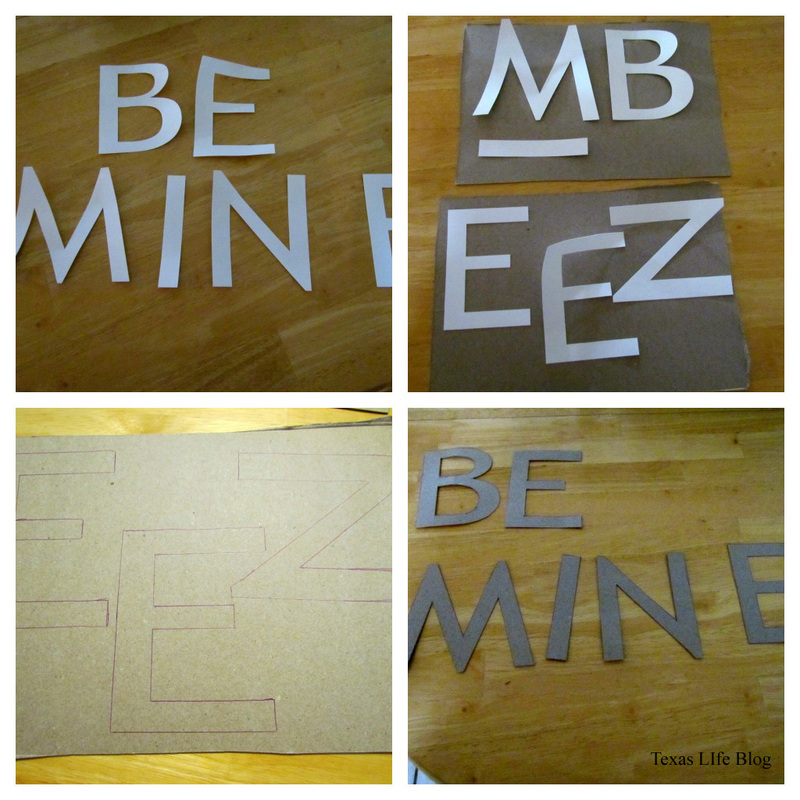 After tracing, I cut the letters out of the cereal box. I removed the old twine, as there were four pieces and I only needed two. 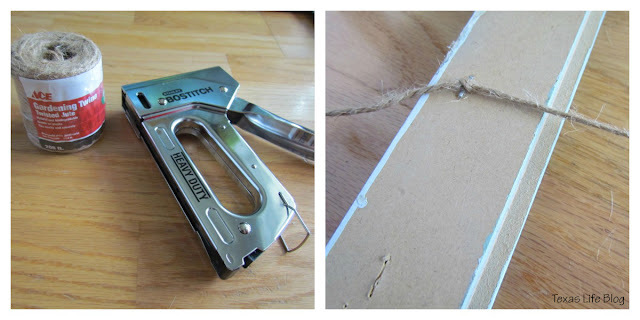 I used a staple gun to hold the new twine in place and simply tied a knot with the twine around the staple to hold it in place . After your letters are covered in the tape, it's time to adhere them to your doilies. I covered the back of each letter with a light coat of mod podge and pressed it onto a doily. 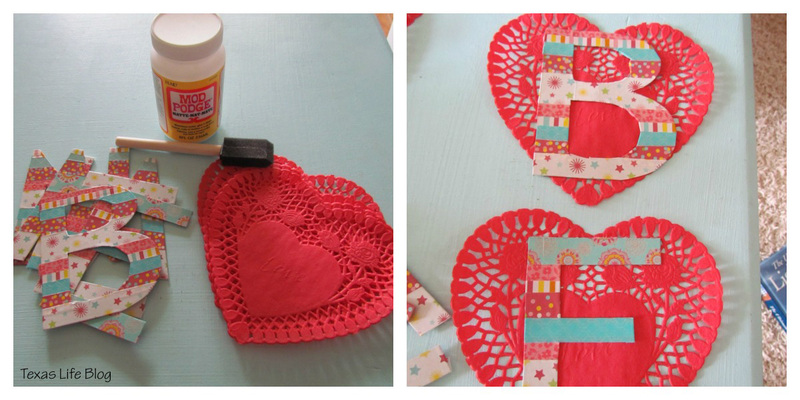 Be sure to dab the back of a doily with a paper towel, as the excess mod podge will squeeze through its small holes. I felt like my sign was missing something, so I added this little guy. Jason bought him for me at the Houston Museum of Natural Science. 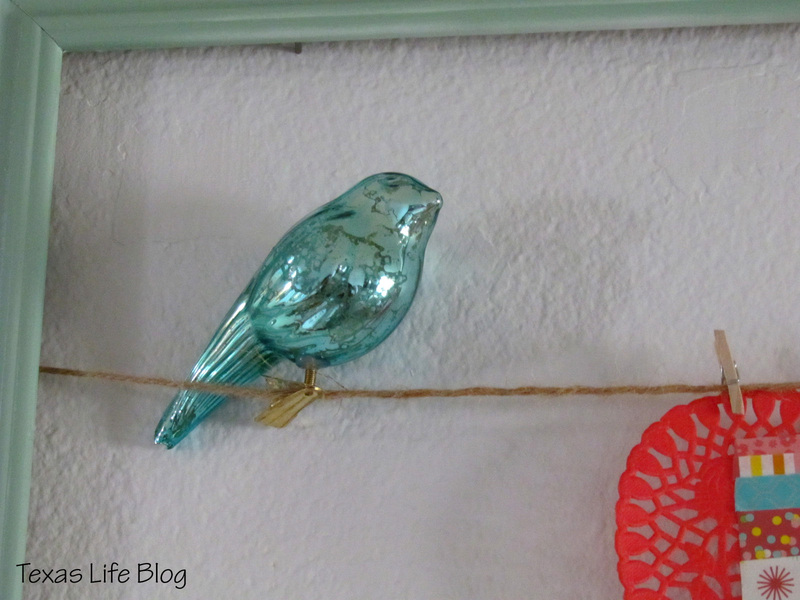 He is actually a Christmas ornament that is supposed to clip onto a tree branch. I loved him so much that I decided to keep him out year round. Isn't he the cutest? And there you have it! 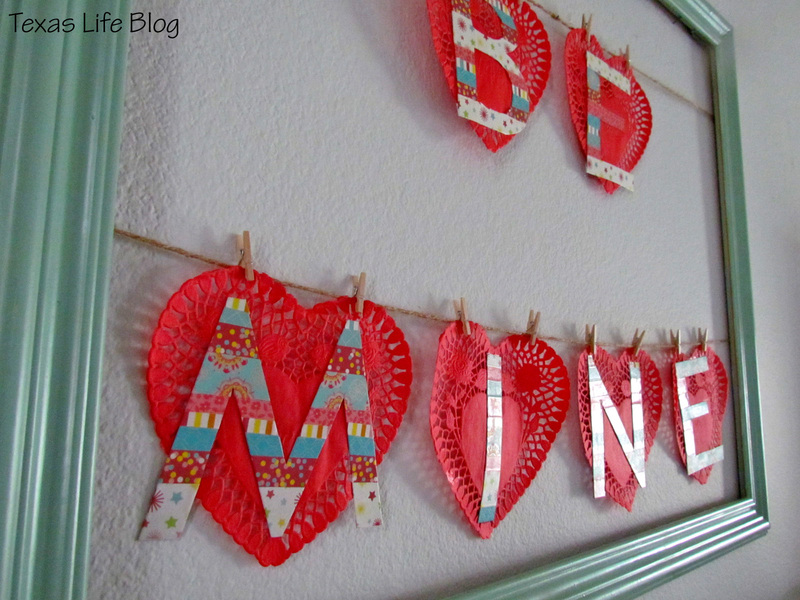 A fun, colorful and easy project to brighten up your Valentine's Day décor. I LOVE this! Totally my style-I can't wait to make this!! This is SO CUTE!!! 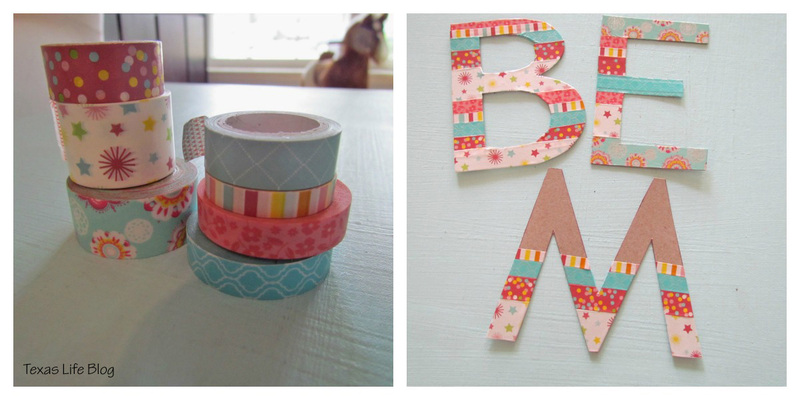 Such a smart idea to use washi tape! This is so cute, you would literally do this for any holiday. 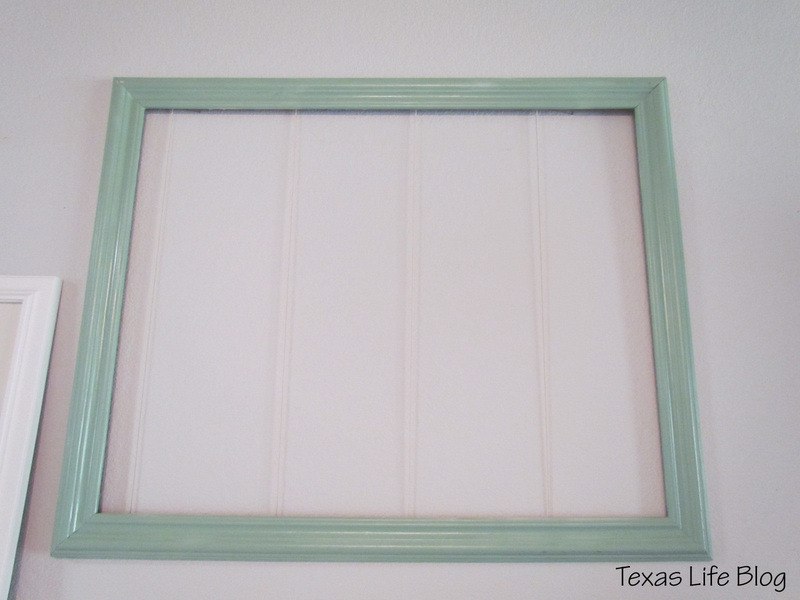 It would be good wall art for a child's room. Just use triangles/flags instead of hearts.